On the other hand, Triskell Software decided to take a significant new step in its development. After signing a partnership in 2016 with a Swiss distributor for the German-speaking countries, the company’s strategy is now to speed up its growth through a denser distribution network but on a mastered pace. Benoit Mercier, in charge of EMEA development at Triskell Software, stresses: “For the last 12 months, we strengthened Triskell Software’s position in our key countries such as France with over 25 key accounts to this day. With Triskell Software, our customers switch from a project portfolio management to a true multi-portfolio management solution. They don’t make detailed planning as a systematic and mandatory entry point in their management, indeed, Triskell allows them to combine waterfall with agile approach within a project for example. Triskell Software is an extremely scalable, flexible and adaptable platform to face the constant transformation challenges of our customers. 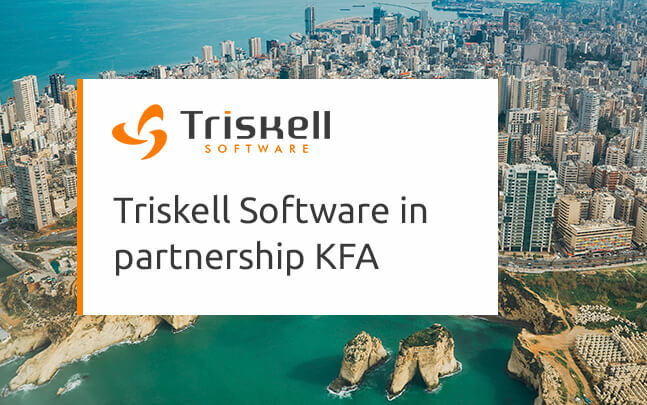 The Middle East market is very important and we are thrilled to collaborate with trustworthy people like Khalil ABDELNOUR who has already participated in Triskell implementation projects in France”. Thus, Triskell Software continues its development and its growth with new distribution agreements in the next few months with the UK and the US.